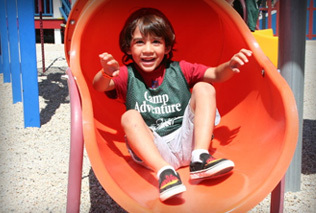 Kids Junction’s Summer Adventure Camp Jr. and Summer Adventure Camp classic are state licensed, discovery and enrichment programs designed to facilitate an environment of fun, learning, and self-discovery. These camps are for kids entering kindergarten through 4th grade. Our Summer Adventure Camp Sr. program is geared to middle school students. It is for preteens and teens entering 5th through 8th grade. This traveling camp is a high energy, interactive program that will challenge the preteen and young teen offering loads of fun with extensive field trips and regular team building activities. This summer, Kids Junction is partnering with Sky Zone, the world’s first indoor trampoline park! Each week, SAC will be heading to Sky Zone where they can enjoy free jumping, ultimate dodgeball, and many other fun activities. 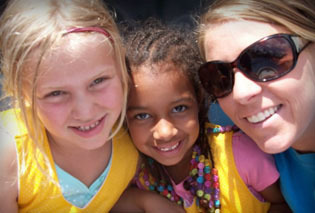 Kids Junction in Madison WI offers 3 separate, well-rounded summer camp programs. SAC Jr. is based on weekly themes and SAC classic is based on daily field trips. Both offer character development, special guest presentations, field trips, educational fun, exciting physical activities, including sports and outdoor play, and healthy snacks and meals. Our middle school camp, SAC Sr. is oriented to engage and encourage nine to fourteen year olds with diverse team building activities and provides further fun and bonding opportunities with memorable field trips and advanced project classes like pottery and jewelry creation. Kids Junction’s Summer Adventure Camp Jr. and SAC’s spacious classrooms allow for a variety of station opportunities for your child to select the daily activities they would like to participate in. It also provides for additional opportunities for DDR, foosball, interactive Xbox Kinect, Osmo and a movie in Junction Theater on rainy days. Our location inside the Princeton Club West also gives us access to the gymnasium and rooftop soccer field. Kids Junction’s SAC Sr. will travel 5 days a week to field trips and other sites, including New Glarus, Princeton Club East, and Camp Carlson. Kids Junction Summer Adventure Camp teachers are selected because of their energetic, outgoing and fun-loving personalities that enhance their ability to positively guide young children. Most staff members have or are working toward a degree in an educational field. Staff members are required to have completed a School-Age Certification course and a Summer Camp training program. SAC Jr. is going to the splash pad every other Friday! A little on the wild side! SAC Jr. added a field trip to Timbavati Wildlife Park! Want to pet some furry friends? SAC Jr. is going to Haven’s Petting Farm this year! Don’t forget to check out the new themes for SAC and SAC Jr.! Feel free to dress or accessorize based on theme. Friday is a themed day for SAC! Dress up for each unique and fun theme! We are teaming up with Sky Zone – Sac is going every Wednesday!